Southside Wheely Wheelers congratulate club members Shane O’Brien, Jerry Herbert , Pat O’Donnell, Daithi Creedon, Stephen Finn, Brendan Houlihan, Owen Tobin, and Paul Gammell who completed the Limerick Classic Tour 180kms hosted by Limerick Cycling Club on Sunday 22nd May. This was a significant achievement for our new cycling club members as it is the first time members of our cycling club have cycled a tour of 180kms, not only the distance in the fast group but in very difficult weather conditions cycling for almost seven hours in to storm force wind and rain. Club cyclists are preparing for the toughest cycling event in Ireland the Wicklow 200kms in June, cycling over the toughest and highest mountain roads in Ireland, this will be our greatest cycling challenge. Subway® Sprocket Rocket Cycling Skills Programme concludes this Saturday 28th May 4.30pm to 6pm at Coláiste Iósaef Secondary School Kilmallock. Southside Wheely Wheelers Cycling Club invite the parents of the little rockets for some light refreshments and attend the Cycling Ireland Skills Certificate Presentation and gift presentation from our cycling club. We would like to thank and congratulate all the 88 little rockets that took part in the Subway® Sprocket Rocket Cycling Skills Programme over the weeks. Southside Wheely Wheelers look forward to meeting you all on the final evening of the cycling skills training. Sunday training continued at 8.30am with club cyclists braving the poor weather and cycled 75kms over four mountains. Out cycling were Sean Burchill, William McCarthy, Gerard Finn, Michael Gammell, Tadhg Murphy and Jerry Ryan. Well done. Sunday training continues at 8.30am every Sunday. Weekly Wednesday training continued at 6.30pm and was well attended with cyclists Micheal Leahy, Michael Duggan, Sean Burchill, Cathal Casey, Jerry Ryan, John Penny, Patrick O’Donnell, William McCarthy, Owen Tobin, Brendan Houlihan and Paul Gammell. Wednesday ladies group cycled over two mountains, well done to Janette Murphy , Ber Gammell, Mary McCarthy, Leslie Radcliff, Elizabeth Leonard and Michelle Gammell. Saturday beginners, improver’s group cycle continues every Saturday at 9.30am, meet at car park next to Kilmallock Cycles and for all club cycles. Cycling on Saturday were Marie Hartnett, Jonathan Moloney, John Swords and Jerry Ryan. (1) Southside Wheely Wheelers Sunday cycle is on this Sunday 15th May at 8.30am, 2 mens groups and 1 girls group. (2) Club members meeting next Tuesday 17th May at 8pm Deebert Hotel Kilmallock. (3) Beginners / Improvers cycle at 9.30am this Saturday 14th May. (4) Subway Sprocket Rocket Week 5 this Saturday 14th May 4.30pm to 6pm. Congratulations to Patrick O’Donnell and Jerry Herbert who completed the Stephen Roche Tour de Cure in Middleton, Co Cork. 1500 other cyclists cycled with Stephen Roche for charity on a wet, windy day. Patrick and Jerry gave it their all with a 28.9km average with long climbs for the last 30k. Well done. 1987 Sephen Roche won the Tour of Italy, the Tour de France and the World Championships. Southside Wheely Wheelers Club members are cycling in the Knocklong to Killarney and back charity cycle this weekend 7th and 8th May, weather may be brought to you by the letter W, wild, wet and windy but our club cyclists will still enjoy cycling for local charties and suffer on their bicycles so others don’t have to suffer. 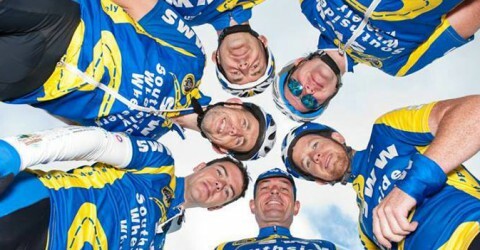 Some of our club members are also cycling in the Stephen Roche Tour de Cure on Saturday 7th May and others are cycling in the An Post Tour in Sligo. Some weekend of cycling. Sunday cycle can still go ahead for those who are not takin part in tours and can meet at 8.30am Sunday morning 8th May.